Fall is a time for releasing and letting go. Clearing. When we release we create space for new things to arise. We'll gather in a secluded space at Whitewater State Park. 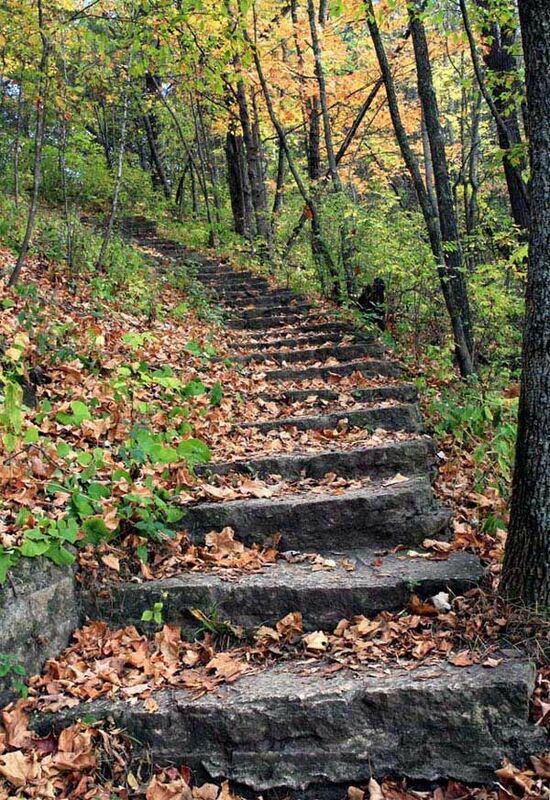 A beautiful time of the year to explore nature in the Fall colors...you'll have access to miles of trails with views of creeks and limestone bluffs. Classes will take place outside or in the lodge. Fun fact: Whitewater State Park is known for its lack of mosquitoes! We care about how our food is sourced. We use 98% organic or local ingredients. Meals are vegetarian with vegan and gluten free options. All meals are included from Thursday evening to Sunday morning. If you're not sure if the meals will work for you contact us BEFORE you register. Guests may arrive starting at 3pm Thursday evening September 27th. Check-out is at 11am Sunday morning September 30th. A packing list is available here. Our aim is to make this event accessible to those with disabilities. Please contact us here to see if we can accommodate your needs. A tentative schedule is available here. Cabins are simple and cleanly. They contain 3 rooms each. Rooms may be shared with 1-2 other women. Cabins have electricity. Bathhouse is available with showers and bathrooms. There is one cabin with a bathroom. Please reflect on if you need/strongly prefer this cabin (especially for medical/health reasons) and let us know prior to registering. Not sure if the event is right for you? Feel free to connect with us! We can chat on the phone or via email. 1) Register by clicking the button. 2) You'll receive a welcome email in the next 24-48 hours. 3) As we approach the retreat keep your eyes on your inbox as we'll be sending important info and inspiration to help you prepare for the retreat! Due to the nature of the event, all sales are final. If you need to cancel, you may transfer your ticket to another person OR transfer funds ($25 processing fee) to another program with the School of Earth Medicine within 1 calendar year from date of purchase. Last day to transfer is September 20th.